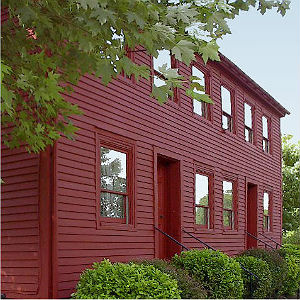 Come visit us at our restored 19th Century house! The Benjamin Long Homestead is a historic house museum. From the time you enter the cellar side-door on the west end, to when you finish your tour in the second floor spinning-and-weaving room, enjoy the adventure which this historic house museum provides. Ask as many questions as you please of the well-trained docents. If you live locally, plan to go several times, as you'll never see exactly the same artifacts from the museum's collections, and the narration is always slightly different. Children and school groups truly enjoy the learning experience, as do adults. Rest rooms and a book store/gift shop are inside, but there are multiple flights of stairs, and, of course, no elevator in this 1829 log house! It is fully restored, preserved, maintained, kept open seasonally by the Historical Society of the Tonawandas, Inc. It is staffed by volunteers. Funded primarily through donations to the Historical Society of the Tonawandas, a 501(c)(3) corporation.